Spending countless hours in parks, on trails and in tide pools was the perfect training for Education Manager Felicia Van Stolk. The Santa Cruz County native joined the Museum in January 2016 after other endeavors in environmental education and youth literacy. Felicia oversees all aspects of the Museum’s educational programming, including both the school and public programs. She leads the Museum’s education team in developing and leading school field trip programs at the Museum and at Neary Lagoon and Pogonip. Felicia also plans the Museum’s public programming designed to connect members and guests with the natural world, including guided walks and workshops. She plans the monthly Naturalist Night series and a biannual special speaker series. Her love of nature and activism was nurtured at Aptos High School where she took her first marine biology class and founded the Peace Club, which gave her a platform to plan concerts that led student artists to raise money for peace initiatives. “I realized how important it was to be engaged in things I care about and to teach people about the things I care about,” Felicia said. She studied marine biology at UCLA, where her minor was conservation biology. The daughter and granddaughter of teachers, Felicia also directed her keen interest in education and equity toward Project Literacy, where she worked throughout her college career. 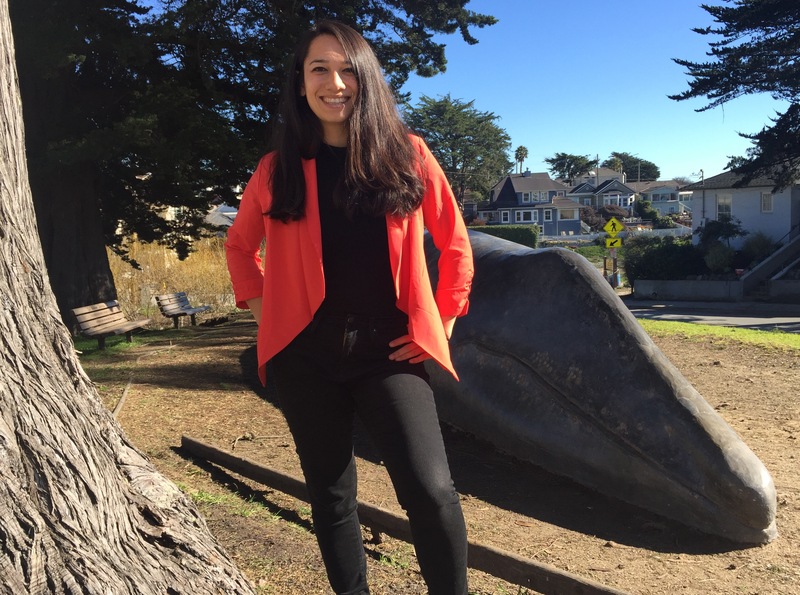 In addition to performing fieldwork in Costa Rica and Bodega Bay, she later gained experience at the Marine Science Institute in Redwood City, first as an instructor and later as the organization’s camp manager. A desire to live closer to home brought her back to Santa Cruz County, where she can be found SCUBA diving or walking Manresa State Beach with her dog, Taz.